You do not need any industry experience to be a successful All Pro Franchisee. Like a Master Franchise and Regional Franchise, this is a Marketing, Sales and Management business model. All Pro Franchising International Inc. is a full service commercial cleaning and facilities maintenance management franchise company, offering large regional franchises nationally to aspiring business owners. 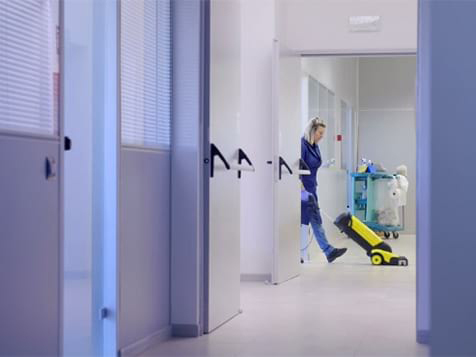 We provide all the standard day to day janitorial services in addition to the many other building maintenance services, offering a single point of contact for our customers to manage all of their service providers. Through our network of executive franchises, we deliver unmatched commercial cleaning services to a range of locations and clients, including office buildings, schools, banks, hospitals, restaurants, hotels, manufacturing facilities, and more. We currently service over 600 commercial, industrial, and institutional cleaning accounts. The commercial cleaning & maintenance industry is an enormous $100 billion market, where almost every building you can see is a potential customer. Our services are necessary! It is also a highly fragmented industry, with service providers ranging from small mom & pop companies using undocumented workers, to large national companies. Our customers are looking for a professional building services company they can depend on, using the latest in “green technology”, to take this headache off of their shoulders. Why All Pro Cleaning & Maintenance Systems? Our customers sign yearly contracts that provide you with repeat, monthly, recurring revenue, that is scalable, building a stable customer base very quickly. Our unique model gives you several revenue streams, building cash flow quickly and enabling you to expand very fast. We will provide you with all of the local tools and training to help you build your business and have an extensive online marketing presence. You will be trained in the latest equipment, supplies and systems, including “Green Cleaning” and “Cleaning For Health” that our customers are asking for. We do not require you to invest in equipment or inventory, using local Affiliate contractors to provide the cleaning services, enabling you to run your business with just a few employees and focus on signing new customers to grow your business. Our business model has been perfected with more than 24 years of development, making it easy for you to follow our system so you can quickly gain market share for an unbelievably fast R.O.I. A true “Empire Builder” model. We offer some of the largest exclusive territories in franchising (typically 1-3 million population). This allows you to scale and build a much larger business. Our two founders have a combined 55 years of industry and franchising experience, and have helped more than 1,000 people start a successful franchise business. Strong desire to succeed with a positive sense of urgency. We have 3rd party relationships with lenders who can offer several different financing options including: SBA Loans, Retirement Rollover programs, Home Equity loans, Unsecured loans and Business Lines of Credit. Contact us to schedule a personal call and learn more about this unique business opportunity. Isn’t it time for you to finally take control of your financial future and build the lifestyle you really desire?